The Doctors and Staff would like to welcome you to Bethany Veterinary Hospital. Bethany Veterinary Hospital (BVH) is a small animal practice located in Bethany Connecticut. Dedicated to providing exceptional care for our clients and their pets for over 35 years, our highly-skilled veterinarians treat a wide range of small animals. Our mission is to provide compassionate, quality veterinary care for your pets. We believe pets are integral members of your family and deserve to be treated in a professional and courteous manner at all times. We strive to preserve and nurture the bond between family and pet by encouraging preventative medicine and providing quality medical and surgical care throughout your pet's lifetime. For over 30 years, we have been a proud member of the American Animal Hospital Association. In order to achieve this accreditation, our hospital is required to adhere to stringent guidelines in patient care and service. With our membership, you can be assured that we will provide the highest level of care. Please tour our website for valuable information. 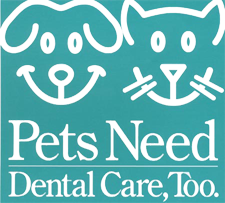 We look forward to serving you and your pet's medical needs. We also serve the following surrounding areas of Woodbridge, Cheshire, New Haven, Seymour, Naugatuck, Beacon Falls, Prospect, Hamden, Wallingford, and Waterbury. Sign-up using the form or call us at (203) 393-3650 to take advantage of this exclusive offer.